The flag of Tibet began as a military banner, but it rapidly spread to become the national Tibet flag during the nation's brief period of independence from foreign powers in the 20th century. The flag remains a potent symbol of Tibetan independence and is frequently displayed all over the world despite the fact that it is no longer officially sanctioned by an independent government. 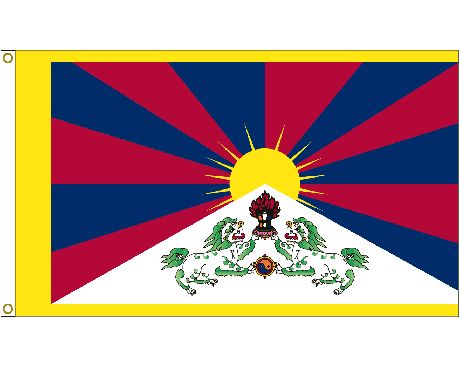 The Tibet flag features a central sun within a blue sky with red rays that reach out from it and cover most of the flag. 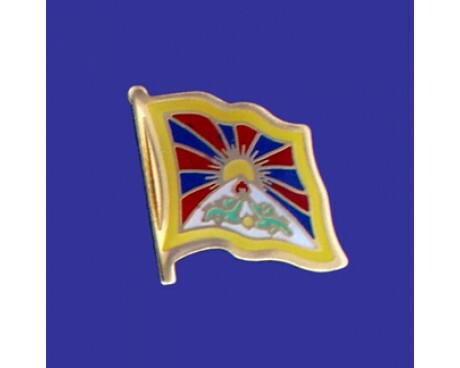 The sun rises up from a white triangle that covers approximately one quarter of the Tibet flag, and that triangle contains a pair of snow lions that support a pair of jewels. 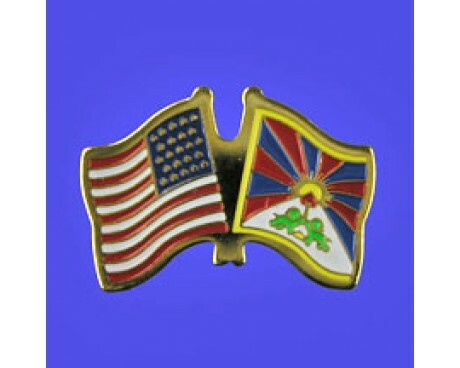 The triangle represents the snowy mountains of Tibet, while the emblems each represent part of Tibet's cultural heritage. The lions are a symbol of Tibetan culture in general and its ability to combine the secular and spiritual worlds in particular. The jewels represent Tibet's most respected cultural values. The red bands that reach out from the sun represent the six mythic ancestors of the Tibetan people. Tibet flags began as military banners. The modern flag of Tibet was adopted in 1912 after the nation became independent from China following the fall of the Qing dynasty. The Tibetan government invited foreign soldiers into the country in order to modernize their forces, and the flag came into use as part of the modernization effort. The flag was designed by a Japanese priest named Aoki Bunkyo who had traveled to Tibet along with the country's allies in the Japanese military. The Tibet flag was used to represent the independent nation until 1959, some time after Tibet was incorporated into China. Tibet flags are no longer authorized for official use by any government, but that does not mean that they have fallen out of use. 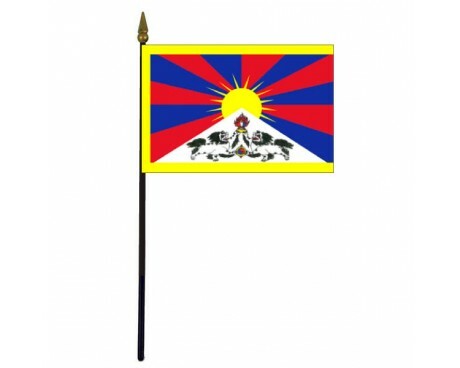 The flag remains popular with political activists who support Tibetan independence, and their use of the flag has made sure that it has remained a symbol of Tibet and its people.